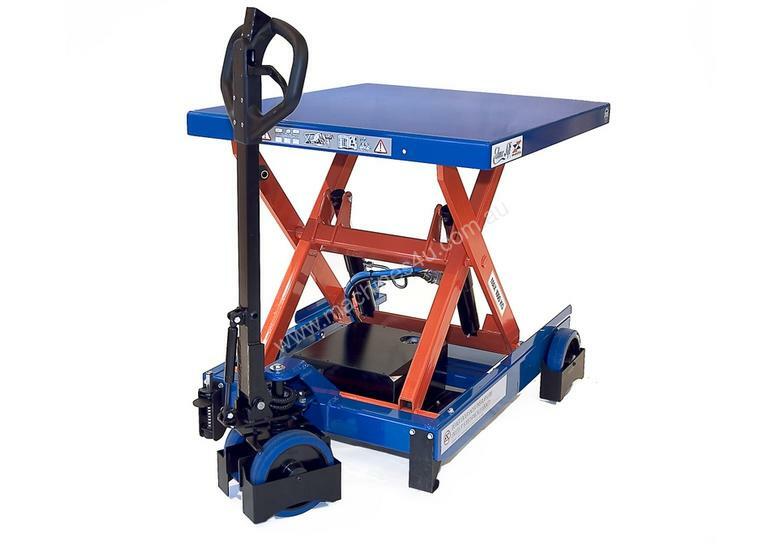 Robust trolleys and work platforms. Single and double scissor, 200–300–400–500–1000 kg with foot pump or battery versions. Large, easily maneuvered wheels. The rear wheels have rotational and directional locks.